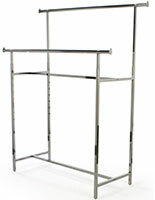 This freestanding hat display rack is the perfect choice for volume marketing of baseball caps and snap-backs. 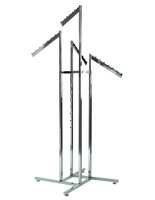 Each double-sided floor-stand design allows up to 240 hats to be placed on the fixture at a time. 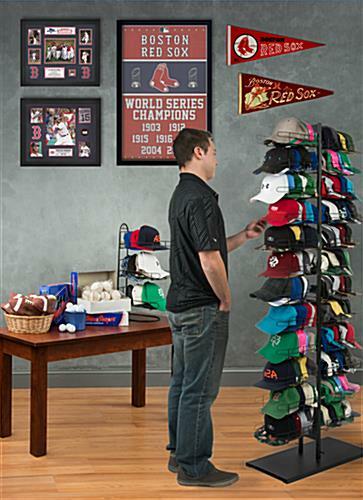 This fitted baseball hat display rack offers 12 pockets on each side that hold up to 10 snap-back caps in each slot. 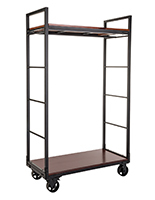 The black powder-coat finish is designed to match any retail setting or decor. 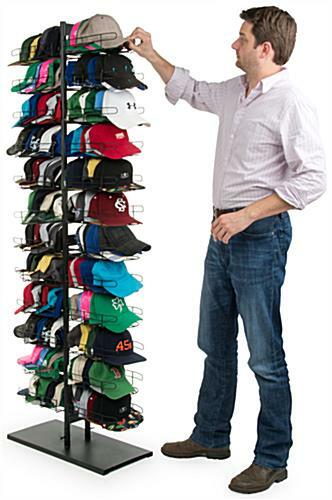 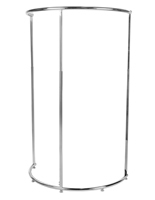 Each floor-standing baseball cap display fixture is made from durable metal wire, with a sturdy flat weighted base for maximum stability in public areas. 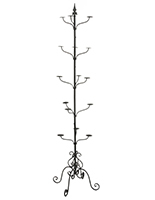 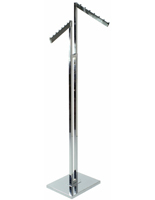 The 75" tall stand is the perfect height for attracting customer attention in retail and showroom environments. 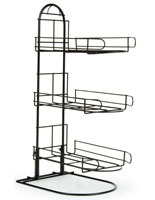 12.3" x 75.0" x 27.0"
7.8" x 3.8" x 13.0"